Thank you for following us at Triple Dog Dare. We’ve combined our various blogs and have moved over to Medium. You can now find our writings at medium.com/odc-dance-stories. We hope you’ll continue to connect and converse with us over there. In 1965, Yvonne Rainer choreographed Parts of Some Sextets, a 43-minute dance for 10 people and 12 mattresses. The piece embodied the renunciation of modern dance conventions by the Judson Church artists and the creation of new rules for dance making. Shortly after, Rainer wrote an essay about Parts of Some Sextets that contained a paragraph in which she listed a series of artistic refusals (“No to spectacle/no to virtuosity/…). Although intended as a provocation that originated in this particular piece of work and not meant to be prescriptive, this paragraph has been since singled out to become the No Manifesto, an iconic postmodern document that has been influencing the following generations of art makers. Rainer’s No Manifesto is one of the artist manifestos that Hope Mohr is quoting in Manifesting, which will premiere this week at ODC Theater. In preparation for the piece, Mohr researched manifestos and explored the rules that artists set up within their creative process. Mohr and I spoke over the phone last week. Marie Tollon: What qualities were you looking for when choosing dancers for Manifesting? Hope Mohr: I looked for people who could move, sing and act. It’s hard to find people who can do all three well, but I was looking for dancers who were comfortable mobilizing their voices. MT: During a lecture at Stanford last October, you listed a set of productive rules for art making. While creating Manifesting, did you come up with additional rules? And was there one that dominated? HM: I have followed those rules and I still think that they are all productive. For me, the biggest rule has been to come into the room and work with what’s in front of me. I came into the process with a script, so I toggled back and forth between that language and my commitment to responding to what’s in the room. I distilled the text over many months prior to the rehearsal process. But the choreography, direction and collaboration can’t happen ahead of time. They have to happen in the room. I honored the script and the concepts that gave rise to it, but I also trusted the process. MT: You have written text for previous works, including Failure of the Sign is The Sign. Is the script you wrote for Manifesting different from anything you have done before in terms of writing in preparation for a piece? HM: All of the script is in the form of a dialogue, which is different for me. The text in Failure was in the form of voice-over—an omniscient narrator. I have two performers in Manifesting who function as narrators, but they are in conversation with each other. I waited as long as I could to give the performers the script because I didn’t want the process to feel too script-driven. The process has been similar to a devised theater process. I had a bank of language, but I let the physical collaborative process drive the structure of the piece. I brought the language in to seed the action. MT: Did the movements push the text in a different direction? HM: Definitely. Some of the text dropped away because in some cases I felt that a physical image delivered content better than words. MT: What manifestos did you research and choose to quote in the text? Why those in particular? HM: Famous manifestos quoted in the work include those by Yvonne Rainer, Antonin Artaud, Tristan Tzara, Jiro Yoshihara (for the Gutai group), and the Guerilla Girls. The language spoke to me. And their place in the art canon. Works that also heavily influenced my process were Mao 2 by Don DeLillo, Martin Puchner’s Poetry of the Revolution, and Crimes of Art and Terror by Frank Lentricchia and Jody McAuliffe. MT: Yvonne Rainer’s iconic No Manifesto is among the manifestos you quote in the piece. Did that manifesto have a specific impact on your personal artistic development? HM: That manifesto, and all of Judson Church, has influenced every choreographer since, whether they know it or not. It’s part of the air we breathe. In sitting with Rainer’s manifesto, it’s a lot harder to know what you are saying yes to than no. Part of what the piece is about is how paralyzing it can be to internalize ‘shoulds.’ Part of my interest in lineage and in articulating voice in relationship to influence is about listening inside to find what you want to say yes to as opposed to be driven by “I can’t do this… I can’t do that… that’s been done…” I think Yvonne Rainer’s No Manifesto is iconic for a reason, because it was a clear renunciation of the modern dance master narrative. It’s the quintessential postmodern document and so it’s part of my DNA, part of my aesthetic skeleton. But that is true for anyone making work right now. MT: Do you see anything in the dance field today that would resemble a manifesto – not necessarily in the form of one, but as a movement reacting to what came before? HM: People are still asking what’s next after Judson. I see trends but not a movement per se. I see a lot of people going back to formalism, to structure, to unison. What is formalism in the absence of a master (Merce, Pina)? I also see a lot of people interested in territory that is in between: in between genres, genders, modes, identities. That is a by-product of both the post modern sampling culture and the mainstreaming of queer wisdom. Manifestos and in between-ness are arguably incompatible. It’s hard to write a manifesto in which both form and content embrace ambiguity. MT: Can you talk about Stay and Manifesting being presented in the same evening? HM: There is no language in Stay. It’s more dancey–the movement is more technical. It’s more about composing the body in space and time [than Manifesting is]. I think it’s interesting to see the two pieces side by side because Manifesting is language-heavy and concept-driven and Stay is much more about pure aesthetics. But conceptually, both pieces embrace the principle that desire and pleasure are the ultimate ‘shoulds’ for me as an artist. That is the thru line. 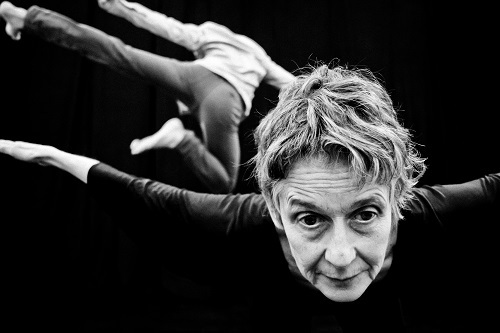 In a 2002 essay, writer and performer Anna Deveare Smith pointed to the multiplicity of identity: “Is it possible that, now, we can look at identity as a constellation:/That each of us has inside of ourselves many fragments?/And the fragments are not neurosis.” Bringing those fragments into a conversation with each other can become the platform for an artistic journey. Such is the case for dance makers Christopher K. Morgan and Patrick Makuakane, who both share Hawaiian roots and will open ODC’s Walking Distance Dance Festival tomorrow. In that journey, an inevitable interaction between the old and the new takes place–whether it is expressed through movements, costumes or musical score. Morgan’s Pōhaku soundscape incorporates ancient Hawaiian sounds – played on the Ipu gourd or the Pahu drum- with the contemporary ones made by an electric cello. Similarly Makuakane’s modern hula pieces are performed with contemporary songs and The Hula Show’s costumes display modern aesthetics applied to traditional ones. 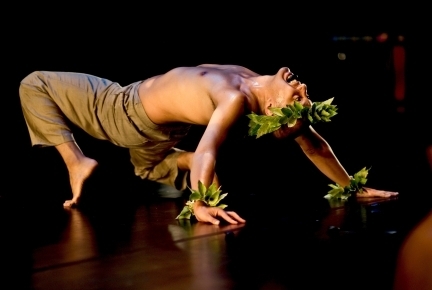 A modern dancer for the past 20 years, Morgan became interested in how the Polynesian dances that he learned as a child had influenced his work. 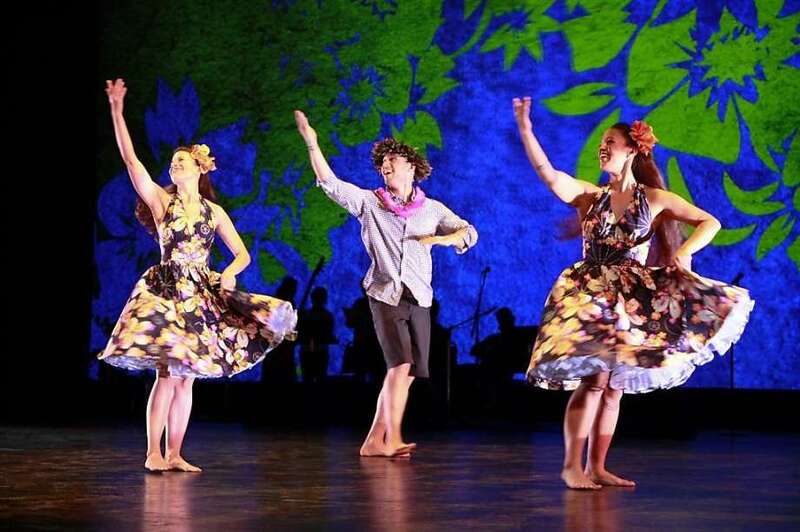 Pōhaku is the culmination of a 10-year long process that included numerous trips and residencies in Hawaii and is partly inspired by Morgan’s late cousin, hula master John Kaimikaua. Founded in 1985, Na Lei Hulu I Ka Wekiu combines hula kahiko -which involves traditional movement vocabulary accompanied by chanting and percussive instruments- with hula a’uana, or contemporary hula danced to the accompaniment of popular music. Some of the pieces honor political figures – from Robert W. Wilcox, who led an insurrection in an effort to return rights to the monarchy and to Native Hawaiian in 1889, to president Obama who was born in the same hospital as Makuakane, only two weeks apart. Earlier this spring, Christopher K. Morgan and Patrick Mukuakane were talking on the phone about their upcoming engagement at ODC’s Walking Distance Dance Festival. Both artists knew of each other but had never met. Morgan, a modern dancer for the past 20 years, is based in Washington, DC., while Mukuakane, who founded Na Lei Hulu I Ka Wekiu in 1985, lives and works in the Bay Area. The conversation between both artists focused on the Hawaiian roots that they share, as well as the work that they will present at the festival. Morgan’s Pōhaku is the culmination of a 10-year long process that included numerous trips and residencies in Hawaii. The piece stemmed from Morgan’s desire to explore how the Polynesian dances that he learned as a child influenced his work and is also partly inspired by Morgan’s late cousin, hula master John Kaimikaua. Makuakane’s Hula Show combines hula kahiko -which involves traditional movement vocabulary accompanied by chanting and percussive instruments- with hula a’uana, or contemporary hula danced to the accompaniment of popular music. At the end of the conversation, Makuakane offered to make the Lei poʻo (head lei) and Kūpeʻe lima (wristlet) that Morgan will wear during his show. Made up of ti-leaves and ferns, they are a traditional part of the hula dancers’ costume. This act of spontaneous generosity reminded me of the customs of hospitality and generosity palpable throughout the Royal Hawaiian Featherwork: Nā Hulu Ali‘i exhibition at the de Young Museum. Developed in partnership with the Bernice Pauahi Bishop Museum, Honolulu, it was the first exhibition of Hawaiian featherwork on the U.S. mainland, and was on view until last month. The show featured approximately 75 rare examples of the finest featherwork capes and cloaks in existence, as well as royal staffs of feathers (kāhili), feather lei (lei hulu manu), helmets (mahiole), feathered god images (akua hulu manu), and related eighteenth- and nineteenth-century paintings and works on paper. Most of these works had been donated as gifts to foreign royalties, as a way to promote or reinforce alliances. Learning about Morgan and Makuakane’s work as well as visiting the exhibition highlighted similarities about larger issues present both in the visual and performing arts, including questions of costume as identity and the underrepresentation of non-Western art on the contemporary scene. Christina Hellmich, curator in charge of the arts of Africa, Oceania, and the Americas and curator of the Jolika Collection of New Guinea Art at the de Young Museum, graciously offered to answer my questions. Marie Tollon: Where does your interest in the arts of Africa, Oceania and the Americas (AOA) stem from? Christina Hellmich: My grandparents loved to travel and I was fortunate to travel with them to Europe, Asia and the Pacific. My Master’s degree advisor was Allen Wardwell, former curator of primitive art at the Art Institute of Chicago and director of the Asia Society and the Isamu Noguchi Garden Museum. He encouraged me to pursue museum work in this area. I was lucky to be hired by the Peabody Essex Museum right after graduate school to work with their important AOA collections. MT: What was the impetus of this exhibition? CH: A colleague at the Bishop Museum, Betty Kam, and I began talking about the possibility of an exhibition over a decade ago. We were interested to develop a show that would celebrate the outstanding collections of the Bishop Museum and highlight this extraordinary Hawaiian art form. It was the first exhibition of Hawaiian art at the de Young and the first exhibition of Hawaiian featherwork in the continental United States. MT: This exhibition was very much about relationships – between Hawaiian royalty and visitors, between the objects featured in the exhibition and viewers. What was your relationship to these objects? CH: I have the utmost respect for these sacred cultural works and I greatly admire the artistry and technical skill of their creators. It was an honor to have them on view at the de Young and to share them with the public. MT: Was there one specific piece you were drawn to personally? CH: I was particularly drawn to the late 18th century capes. Few remain in Hawaii. They show the diversity of styles and the use of domestic fowl (chicken) feathers in combination with red and yellow honeycreeper feathers. 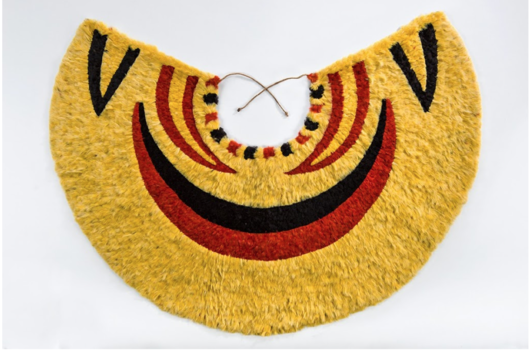 One of these large capes in the collection of the Museum of New Zealand Te Papa Tongarewa is stunning with its thick layering of iridescent black feathers and striking border of red and yellow triangles. MT: Do you share Hawaiian visual artist Maile Andrade’s observation that Hawaii is largely absent from the representations of world cultural heritage in museums? If so, what do you attribute that absence to and is this situation changing? CH: Yes. Oceanic art is not widely displayed in museums globally. At this moment, there are a limited number of curatorial advocates for Hawaiian art working outside of the Hawaiian Islands, especially in art museums. MT: I was struck by the similarities underlined within this exhibition and the Oscar de la Renta show which had just opened when I visited the museum. Each spoke to a sense of artistry and craftsmanship -The hundreds of thousands of feathers that went into making a cape echoed the copious amount of fine material that went into the making of luxury fashion item. I am wondering what you thought of both exhibitions living in the museum together. CH: I love that visitors came to see a fashion exhibition and then made their way up to Royal Hawaiian Featherwork: Na Hulu Ali‘i where they experienced fashions from another part of the world that they had never seen. Both exhibitions highlighted the desire to wear stunning and powerful garments. While money can buy garments infused with power and status in our time, only Hawaiians of chiefly class had the sacred power and political status to wear featherwork. Efforts to facilitate meaningful international exchange in the arts are nothing new. For good reason. The myriad ways in which we share, learn, connect, and generally cross-pollinate beyond our own political borders are an artistic, or moreover, a human, imperative. 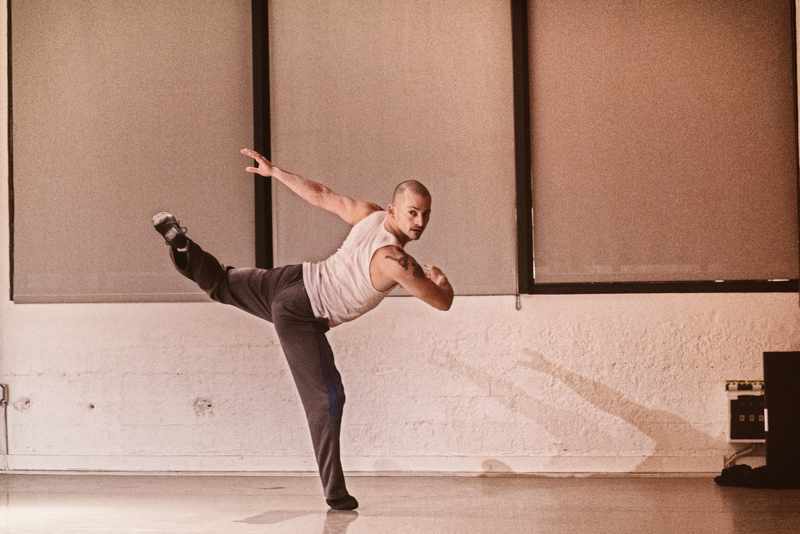 For the dancer, choreographer, or visionary at large, the act of purposefully immersing oneself far beyond the local and into the unfamiliar can fuel vital creative growth and amplify perspective. To this end, organizations and institutions occasionally create exchanges and residencies to serve as artistic homes for artists to engage in their craft, and are designed in any number of ways. In that sense, this practice is not a new development. What is novel in its own respect, and perhaps even revolutionary, is how a government-based project founded sixty years ago by President Eisenhower would lay the framework for a lasting cultural partnership between the cities of San Francisco and Zurich, Switzerland. For over ten years, San Francisco and Zurich have been designated as Sister Cities, and it is from this relationship that the Swiss Artist-in-Residency at ODC draws its roots. Devised decades ago by political leaders with the participation of city officials, the aim of the Sister Cities organization was to increase and sustain meaningful mutual support and stimulate partnerships in fields of shared interest between American cities and cities abroad, thus promoting, on a grander scale, global peace and understanding. The Sister Cities partnership between Richmond, Virginia and Ségou, Mali is centered around music. Rouen, France and Cleveland, Ohio share a Sister Cities affiliation centered around the culinary arts. As Martin Schwartz, Cultural Officer of the Consulate General of Switzerland in San Francisco, explained, San Francisco and Zurich both place a high premium on the arts. To commemorate the 10 year anniversary of the partnership, which had been relatively dormant, a number of new ideas and projects emerged: a co-curated photography exhibit, a film festival, and the Swiss Artist-in-Residency, with ODC as an official partner. It was affirmed that dance and choreography were a major component of the artistic identity of both cities, and plans were put into place to highlight this. This particular experiment in thematic international cultural diplomacy has taken prominent Zurich-based dance artists Meret Schlegel, Natalie Wagner and Sandro Minasi, among others, from their lives in Europe. It has brought them to San Francisco and funded their six-month living experience with Swiss-government sponsored stipends, and provided them with a place to live. It immersed them within the hub of ODC and funded their studio rentals. As a facet of this unique partnership of goodwill between two cities, the Swiss Artist-in-Residency is purposefully designed to prioritize that which is of most basic need to an artist, without making stipulations or demands on the artists in return. There is one salient responsibility imposed with their participation in the program: to simply explore—their art, their surroundings, themselves. To create space for themselves in San Francisco, in whichever way it may manifest for them personally. Applicants for the Swiss government-funded residency are vetted through the dance department of the City of Zurich Department of Culture, with a jury entrusted with making the selections. The application process is competitive, and those applying are expected to have been working at a professional level, with well-established experience in the area of dance and choreography. With regard to finding a venue for the residency, Schwartz noted that in the planning stages, ODC was considered the best possible fit for the Zurich artists to come and be artistically housed in. The large range of dance styles represented, the diversity of residency programs already in place, as well as the tremendous resource of space were described as major factors that led to the decision. The ample amount of studio space was considered part of the heart of the residency program, a resource allowing the Zurich artists freedom to try out new ideas within the walls of ODC. 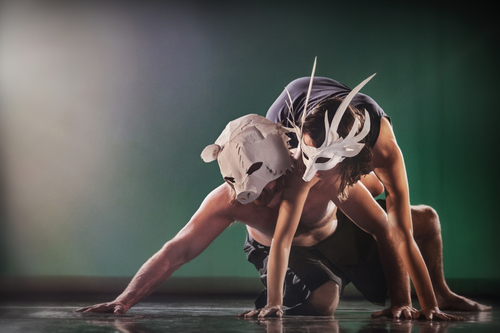 Connections with Zurich-based dancers have sprung up in neighboring arts organizations as well, such as CounterPulse, and Zaccho Dance. Through this program, two global communities are connected meaningfully and intend to remain so in the area of dance. Synergies between the individuals and communities of the San Francisco Bay Area and Zurich continue to thrive as mutual learning takes place, linkages are made, and networks widened — rippling their effect into the future. The value placed on unbridled exploration espoused in the program, as well as its international scope, contribute to what makes this program and its inception unique. Of particular interest, however, is not only the design, history, and implications of this program as a model, but also the way the Swiss Artist-in- Residence program is experienced on the individual level, by the residents themselves. Who make up the artists who participate in this residency? What are their experiences like, and what does it conjure up for them? Their perspectives, which three of them share in the interview below, speak to relatable themes of self-discovery, hard work, and passion for their craft. Lucienne Alicea: What is your background with dance? Natalie Wagner: I started when I was seven years old at the National Ballet school of Switzerland, though I left ballet in order to explore — I wanted to be more than just a little swan! I discovered jazz and flamenco and even took dance classes in Los Angeles for a long time. I went to the United States when I was 19 and at that time the West Coast blew my mind! The level was so much higher here, it’s like we were sleeping in Switzerland when it came to dance. The dance genres were very separate in Switzerland, yet they were already starting to mix forms here. I knew I wanted to do that so from then on I started to create more and do my own work, and delved deeper into contemporary. Sandro Minasi: I started dancing late, when I was about 18. 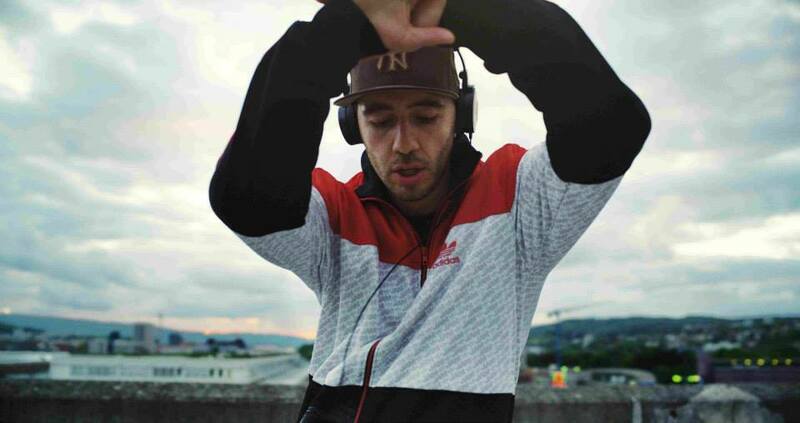 I would mimic Michael Jackson and MC Hammer, but in Switzerland hip hop was never that big— it was more about sports. In the beginning, I would dance with my older brother who would go to dance classes with his friends to impress girls. Eventually, teachers from the United States came to teach hip hop and my brother dragged me with him. I remember thinking it was so cool. My brother started teaching hip hop classes and I started taking his class. I had stopped sports all together and started going every day to dance class. Later on, a company took me in as a rookie and picked me to be a part of their crew. We started doing commercial style shows all over Europe. Eventually I stepped out on my own and started to dance with my own group. A turning point for us was when we came to the United States to perform in 2009. The audience in San Diego really loved our performance, which was picked up on video. By the time we got back to Europe the video had gone viral. We were getting offers to perform everywhere and invitations to TV shows. Meret Schlegel: I have been dancing all my life. Dance and art are still my compass to help me find my way in our complex life on this planet. But my dance training is very unconventional. As a kid and teenager I took all the classes I could in my hometown – mostly music and dance improvisation. In Switzerland back then, there was no dance in high school or junior college, nor were there dance schools in contemporary or modern dance. After junior college, in the early 70’s, I left for the United States. There, I found a new performance scene which spanned across different disciplines – a departure from what I had previously experienced not only in the arts, but in society. Vertical hierarchies, like in ballet, were becoming more horizontal, and collaborations, teamwork, and self-organized collectives were emerging. It was a very interesting and inspiring time, which formed and molded my approach to dance. I kept moving back and forth between the States and Europe, and studied modern and Release under Joan Skinner and other teachers in the Bay Area, New York, and elsewhere. Once back in Switzerland, I received a BA in dance and continued what training I could find in Europe. LA: What inspired you to apply for this residency? NW: I found out about this opportunity when it was made newly public to dancers. One of my teachers encouraged me to apply. I was teaching every day, performing, and choreographing for theater and musicals— it was super chaotic. I never knew how to pay the rent the following month and it became exhausting. For me, the residency was more about the idea of having a break from my daily life, have time to reflect and explore, and not worry about how to pay the bills. In my application, I also explained why it was important for me to go to San Francisco. I wanted to make it clear that the city itself held interest for me. I had come to San Francisco 13 years ago for a weekend, and I wanted to see how the image I had from before compared with the San Francisco of today. SM: I applied because I got to a point where I asked myself: What is next for me? I was always leading, which I enjoy, but I felt like it was time to do something just for me. I didn’t think I had a chance, but Natalie said I had to try. I sent the papers in on the very last day so that I could at least tell myself that I had tried. In general, hip hop in Switzerland is not as accepted as in the United States, and people don’t look at it as “real” dance because they don’t know the culture of what’s behind it. So when I got it I was shocked and not ready for it! But it felt right to take this opportunity to step away from everything, see things from a different perspective and grow as a dancer and as a person. MS: From 2000 to 2011, I was the director at Tanzhaus Zürich. I was teaching consistently, but only performing abroad once in a while. When my time at Tanzhaus was over, I resumed my career as a dancer and choreographer. This change felt reminiscent of when I first came to San Francisco in the 1970’s. When I heard of this residency program, it felt like something would come full circle. Being the Swiss resident artist at ODC for 6 months was my dream, and it came at the perfect timing! LA: In immersing yourself in an entirely new city, and a new dance community, how has this new environment impacted your artistic vision, your approach to your work, or your perceptions of yourself? NW: First, it’s inspiring to see that on a different part of this planet, people care about dance. At ODC, they create these beautiful platforms for different people, which I really admire. Young artists are given possibilities! Just to notice the structure of it, to see it combined as a dance school and theater, bringing different people together in one house is amazing. We don’t have anything like this in Switzerland. At first, I checked out classes at ODC but soon I realized that dancing didn’t give me anything, and it had nothing to do with the classes themselves. The classes and teachers are amazing. I discovered the aerial dance world. The fact that I don’t have to leave my whole dance background behind, but can instead contribute to this new art form with my dance background was something that I’ve loved. I cannot even imagine to still be only on the ground! My dimensions went up, and I want to explore the whole space, not just the ground. I admire that it’s a totally different vibe in the aerial world from the dance world. There’s less elbow fighting, but then again, I’ve found the dance world in San Francisco to be unique. Here, people care more about you as a human being. I hear a lot about energy here and I really love that. It’s calm, and it’s been like therapy for me. In aerial, it’s even more interconnected. You must arrive and be present not just for yourself but for others, because when you’re up in the air, your life is dependent on the person grounding you. In dance you don’t have this risk— if you fall, so what? There’s a heightened commitment that you engage in with others that was totally new to me and resonates with me as well. With my experience in a new movement form which brought me out to Oakland quite often, I also had the chance to take on the role of student for the first time in a long time and I realized that I had missed it. Being that someone being told what to do. I’m a perfectionist, but in that role, I was able to be ok with making mistakes. Residencies don’t exist in the aerial world. I was just another person coming in and trying my best, and it gave me the chance to just be me. Through that process, I wound up being invited to perform aerial for a show that I had originally bought a ticket for! It took so much strength and courage and the experience shifted my outlook in a foundational way. SM: In my experience so far, one thing I would want is more connection with the dance community from the beginning. It was hard to get to know people, but the exercise is a good one for me because I’m shy and don’t approach people easily. Since everything in Switzerland is already happening around me, I don’t typically have to go to it. That wasn’t the case when I first came here. It took me a while to really arrive. Immediately before coming here, we had a crazy event and right when that finished, I was suddenly here! Eight months of work ended abruptly, then I was in San Francisco. Now I feel like this is my home. The diversity and cultural offerings, with the Latino community while living in the Mission District, have made me attentive to the particular cultural vibration here. I am interested in the acute differences in cultures and I’d like to incorporate this in a new dance piece. At first some things [people say] may seem rude, but it’s just the way people talk here. Appreciating this difference has helped me grow to be more tolerant, which will affect my own dancing as well. It’s always good to be challenged or you’re not growing. The hip hop from the Bay Area is great as well, and I’ve always loved hip hop music from the Bay Area. For me, the hip hop community here is like New York’s in its feeling, but smaller and more familiar. In Los Angeles it’s competitive, but here, you know there’s a place for everyone. In exploring festivals around the Bay, I got to know a local dancer who introduced me to Nicole Klaymoon of Embodiment Project, another Resident Artist at ODC. I like the way her group works, and we’ve begun to explore the possibility of a continued collaboration together and bringing her company to Switzerland! I really like her approach and ideas, and I love the dancers. They’re kind and warm, and the way she talks to them is with so much respect. I’ve been inspired by how you can feel that they respect and love each other, and how it’s not only about technical skill. Human to human connection is important to me. I’d like to continue training and sharing with local companies, as well as try other dance forms. I want to learn more about modern floor work, so that I can incorporate it into my hip hop b-boy work. I’ve connected with local choreographer Stacey Printz in an attempt to pursue that. My approach while in San Francisco is to exchange deeply with dancers and mentors rather than take classes. I need real personal one-on-one exchange, which will allow me to go deeper into my dance research. MS: The city, its climate and location are unique! This once in a lifetime experience of not having to make money (actually not even being allowed to), caused such an opening of my mind and body. The effects are still with me in my way of approaching dance. The experience of getting an inside look into the whole organization of ODC, and meeting all of those wonderful people who run and make ODC such a unique place, was a big part of my residency. Understanding the organizational aspects of such a place was important. I was also very fortunate as an artist to be invited to take part in Take 5, be a docent, and share my work by presenting a full piece that I choreographed in Switzerland. During the residency, I was able to reflect upon some illuminating contrasts between dance of San Francisco and Zurich. I find that in Europe, the performance pieces ask more questions– they are scratchy and take risks, and shake up your preconceptions and ideas about dance. Often, you keep thinking or pondering about the theme afterwards. Most pieces are not so easily digested by only watching because they want you to engage and also leave a physical sensation in the viewer. In San Francisco, I have seen lots of beautiful pieces, so in my mind I kept remembering more the presence of individual dancers, and less the piece itself. With regard to being immersed in this city, it was actually of some help that I used to live in San Francisco, because I felt at home right from the beginning! It made these 6 months so special. LA: Since moving to San Francisco, have cost of living issues and the challenges it poses to local artists and art spaces been palpable to you? 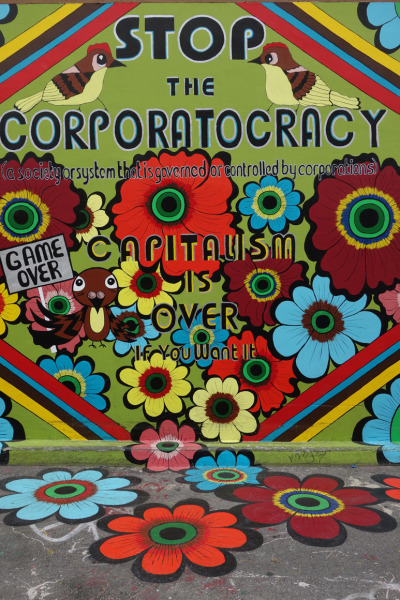 Do artists face similar economic challenges in Zurich? NW: In general it’s hard for every artist, it doesn’t matter which planet or country you live in. Even in Zurich, the funding is just for a few people – a selected few. I think many people in the States have a wrong image of Europe that everything must be better with regards to funding— but you need to check who actually gets the funding. It’s the big ballet companies with prestige, the super famous choreographers. What about the rest of us? My life in Zurich compared to the life of artists here is not so different. I was just lucky [with this residency], it’s the first time I’ve gotten anything from the city, after proving myself as a choreographer and producing work for 10 years! SM: I hear the talk about it from afar, but when you don’t talk directly to people, you don’t know. I didn’t know how much an apartment costs here, as the residency provides us with an apartment. When I found out how much it was, I was shocked! Switzerland is expensive, but this is twice the prices of Zurich. It’s so small there and there’s a lot of money because it’s a rich country, however it’s not easy if you’re an independent artist who wants to create. You have to know the right people. If you do hip hop, there are no funds at all! It’s hard, though I’m not suffering or complaining. It was better for me to build up my own project because I wasn’t going to wait for the government to support us. It’s hard, but it’s the right way for independent artists in Switzerland to do their own stuff and build their own community. There are a lot of politics involved, and if they don’t like you, they won’t support you. I was determined not to depend on them, but I see a lot of other people struggling within that system back home. MS: First of all, Zurich is a small town in a small country! Traditionally, compared to the United States and San Francisco, we are very fortunate to still get public support for the arts. 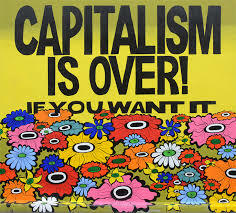 But unfortunately, the independent dance scene, dance theaters, and alternative locations are funded less and less! The funding is more project oriented. In the last 15 years, the network of these theaters and venues, as well as dance lobbying groups throughout Switzerland have been well-established, so we are lucky that the economic crisis is only now hitting the arts. LA: In what ways do you think you will look back on this experience? Will carving out space hold more of a priority for you in the future? NW: This will always be my time off, it’s special and unreal. I’m a workaholic and it’s hard for me to take time off. Now that I’ve had it, I am filled with energy and ready [to start again.] I initially felt that I needed to prove to the city of Zurich that it was good that they invested in me, and take advantage of every little thing, but that’s actually not the point of being here! It brought up contradictory feelings in me. I asked myself what do I need? It was a challenge not to feel a sense of obligation. That’s why this residency is so exceptional — when do you ever get the chance to just sit down and reflect about what you need right now? If I look back in 10 years, it will always be these 6 months which gave me the opportunity to ask: what do I want in life? SM: It’s been an awesome opportunity. It’s going to affect my future in many ways. The goal to have time and explore, without having to accomplish a new piece or anything— I now look at it as a gift. MS: Seeing how my daily studio time became so important was a wonderful surprise. Now back in Switzerland, I still rent a studio once a week without the pressure to create a defined product. I came back to Switzerland not only with an extra bag of books and memorabilia, but also full of inspiration, ideas, energy, new contacts and friends, and memories of times passed at ODC, both in the studio and at the Theater watching performances. It was not only my personal research in one of the wonderful studios that I see as important—I absorbed the unique atmosphere there, and as a result, became part of it. Lucienne Alicea grew up in San Francisco and has been a student of dance since the age of 5. After graduating from UC Berkeley with a degree in International Studies, she began working for the Adult Dance Program of ODC School. 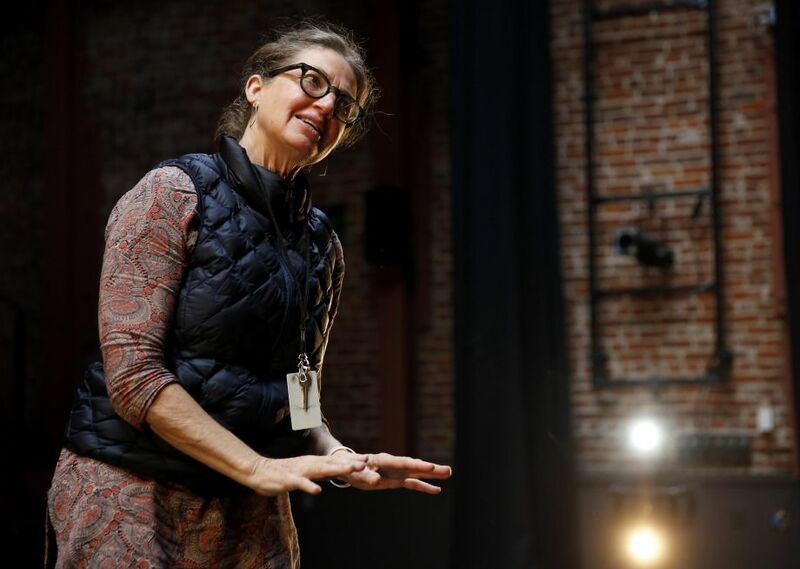 She has been actively involved in the SF Bay Area performing arts community for the last ten years, having also worked for the Stern Grove Festival and Brava Theater for Women in the Arts. In addition to her passion for the arts, she is also an avid traveler, having studied and traveled extensively throughout Europe and Latin America. My first experience of Christine Bonansea’s choreographic installation was at the Kingmond Young Studio – a photo studio turned performance space for an evening of 2013. The French, New York-based choreographer presented three solos, two in which she danced and one in which a male performer led the audience from the entrance of the shop to the backroom of the space where viewers sat on bleachers. Bonansea’s solos were dense with her ferocious energy, her body contorting in shapes that were part animal, part monster. With her face masked by protruding goggles, the movements explored the transformative possibilities of the body, one that leaned toward the grotesque. In one simple and beautiful section, Bonansea played with scales and the relationship between inside and outside: she danced outdoors in front of a light, while the audience, sitting inside, saw her reflection on a screen. Adjusting her distance from the light, her shape alternatively grew from minuscule to humongous, playing with the imagery of a distorted body. During his solo, the male performer repeated to the audience “Who wants to be my baby?” until a middle-aged man enthusiastically volunteered to join him on stage. A series of play between the baby/lover and the literal baby succeeded. At one point, the volunteer audience member was held into the performer’s lap like a baby. The performer moved a bottle towards his face, seemingly about to feed him, before splashing water on his face. At this point the viewer, extremely upset, vehemently rebelled. The piece touched upon power relationships between audience and performer. Does a viewer relinquish his/her will power when stepping on stage, in the world created by an artist? What is their motivation to transcend the observer/observed boundary by volunteering to be on stage? Is it simple curiosity, wanting to be loved (becoming the “baby”) or a desire for that one-minute of fame? In a different way, these questions of audience-performer relationships and the grotesque body were also present in Floaters, a trilogy that features three men and three women, presented at The Lab this weekend. For Bonansea, audiences are not meant to just be there and watch, separated from the performance happening on stage. In Floaters the audience was thoughtfully curated within a large rectangle in the middle of the room. Except for a row of chairs in the back, everyone was invited to sit in the rectangle. During the show, the performers moved around the audience, at times coming to the edge of the rectangle, and even moving through the audience, on the long stretch of reflective Mylar taped on the floor that ran across the rectangle where the audience sat. The piece ended with the three male performers (Sherwood Chen, Sebastian Grubb, Alexander Zendzian) performing what appeared as a contact improvisation section, bodies tangled up either in ecstasy or anguish as they moved through the silver lane. Dance audiences in San Francisco are largely made of dance artists, whose hips are likely more flexible than non dancers,’ allowing them to sit on the floor at length. I wondered if I was one of the few struggling to retain the sitting position for the 1 hour and 45 minutes that the piece lasted. I soon felt trapped within a sea of bodies. Was it the choreographer’s intent to impose some kind of physical restriction and discomfort to her audience? Again, I wondered about audience’s agency when viewing work. You could minimally change positions since your neighbors were so close, you could not stand since you would be blocking the view of your fellow viewers, but you could of course walk out at any moment. Visuals are an important aspect of Bonansea’s installations. Reflections of light on the silver band that ran along the floor could be seen undulating on the ceiling, reminiscent of the shimmering light of a pool. I was reminded of sitting in an empty, abandoned pool many years ago in McCarren’s Park in Brooklyn, which was temporarily taken over by site-specific choreographer Noemie Lafrance. The nostalgia of an empty public pool brought back images of weathered paints, places abandoned and left to oblivion, places where memories rust. Reinforcing this memory, Floaters’ sound scape and choreography invoked images of clouded, dark pockets of the collective unconscious. The sensation of being enclosed in a somehow oppressive environment was conveyed at the beginning of the piece, with faint sounds recalling squeaking doors, girls’ voices and branches scraping against a wall. In quasi darkness, the three female performers –Bonansea, Liane Burns and Michaela Burns, their profile somehow shaped grotesquely by dark glasses and a hat covering their long hair- scurried around the audience, with menacing little pitter-patter, the sound echoing in the room. They recalled the unfamiliar, somehow threatening sounds of steps in the dark common in horror stories. Yet, with their frantic pace, those figures were also comical. Bonansea then performed a brilliant solo, her body twisting and thrashing against the wall and the floor. At moments, she rounded her back, shoulders lifted, opening her arms wide, as if Louise Bourgeois’ huge spiders sculptures were suddenly given motion and taking over the space. She circled around the audience, shoulders up to her ears, right arm straightforward and index finger pointed. At times her shadow was projected on the wall – a long, black figure with a pointing finger. Imagery of witches in old fairy tales arose in my mind, but also the literal meaning of pointing a finger at someone, of denunciation, accusation, and indictment. As Kate Mattingly stated in her preview of Floaters, Bonansea’s work “does not illustrate a message or announce a discovery, but communicates through sensation and environment. It’s a world that is masked and opaque, and rich in craft and attention to costume, sound, movement, and their interactions.” If there are any messages or associations, they are in the eye of the beholder. Toward the end of her solo, Bonansea took off her shirt and bra, and sat with her naked back exposed to the audience while a projection ran along her figure and the wall – the body merging with its environment, and both equally marked by the power of visuals. The image of an intricate network of sinews and veins was projected. 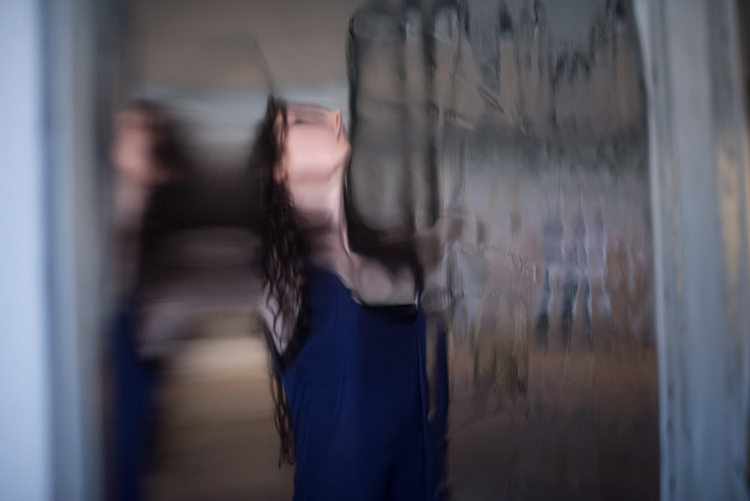 The multiplicity of pathways that were shown on the wall echoed the many emotional and psychological trajectories one could travel through within the performance: As much as Bonansea creates a unique universe, thick with not easily identifiable sounds and movements, entering her world is equally entering one’s own. It is about being allowed the possibility for memories to surface, for the reality of the outside world to enter our inner world, sometimes with discomfort, and always with the possibility of revelation. Click here to view more photos by Hillary Goidell. There are countless ways to be an audience – tired, excited, distracted, curious, bored, interested, etc. Regardless of how each of us began the performance, we, the audience for Still Life Dances on Friday night last week, became transfixed together, as if taken into stillness by the performance. Still Life Dances, choreographed by Lauren Simpson and Jenny Stulberg, is a series of dances based on specific still life paintings in the de Young Museum’s permanent collection. I saw three different works from the Still Life Dances series last year, Still Life No. 1, No. 2 (two different iterations) and No. 3. I didn’t plan to see them, but was always happy when they appeared on the program. I will admit that by the third time, I was a little giddy. Given the giggle, I am not drawn to discuss the intricate compositional features or choreographic strategies used by Simpson and Stulberg. Marie Tollon superbly detailed that work last November, and captured the overall movement quality as a reinvestigation of “the small, the minute, the quirky play with duration and modes of seeing,” which creates a unique style. Yes, there is something new happening here, but it’s more than something new. Why do these dances seem so touchable, so inviting? What are their movements of stillness trying to say? The Oxford English Dictionary first defines stillness as the “absence of movement or physical disturbance; motionlessness.” The second definition moves beyond physical action: “Freedom from tumult, strife, or agitation; tranquility.” The dances presented in Still Life Dances at ODC on Friday night– Still Life No. 1, hold (STILL), and Still Life No. 4 – explore the movement between these modalities of absence, freedom, agitation, and tranquility by creating movements of stillness that slice open aspects of life, creating glimpses into seemingly unnoticeable or forgotten spaces of human relationality. Still Life No. 1 and hold (STILL) consider the movement of stillness between two performers, a duet of gestures that may seem simple like the shrug of a shoulder or the thrust of a palm. Yet, when considered as sentence-like sequences, these gestures and the stillness they navigate suggest a striving toward connectivity. About a minute into Still Life No. 1, the dancers pull each other into a “not-quite-hug.” Bodies lean into each other, heads resting on shoulders. A place of stillness is achieved, yet the arms dangle and torsos sway slightly – the residue of movement. Then, a need to move, to get more comfortable, to find a new place or maybe they are just not ready to let go: heads change slightly, arms readjust. This moment of stillness repeats albeit differently at times throughout the dances offered in Friday’s Still Life Dances. Watching this moment again and again seems to articulate a tenderness, a desire to be felt, noticed, or considered. In Still Life No. 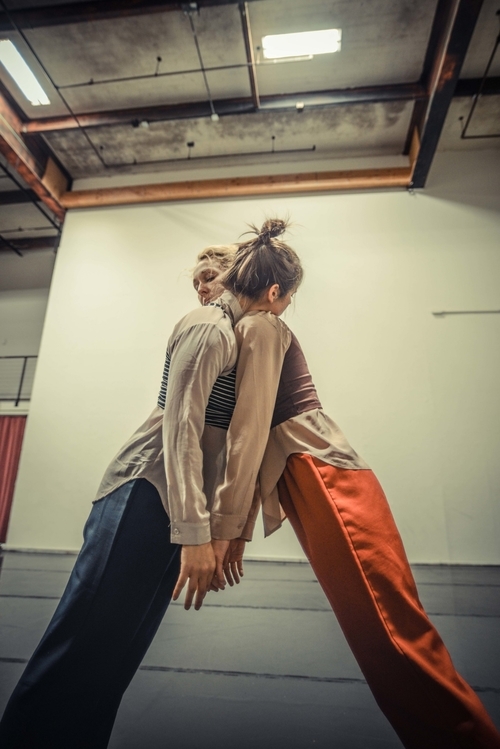 4, “made in close collaboration with the dancers,” four dancers move in various spatial and perspective configurations, which created multiple groupings of still movements. The walls divided the stage into spaces that played with distance and depth, providing new surfaces for the dancers to explore. By carving the stage into a kind of art gallery, the dance created moving pictures that evoked perspectives of passing as opposed to standing (still). Within this spatial framing, choreographers Simpson and Stulberg also played with the movement of sound. It started with one dancer making a popping sound – “pop.” Using the lips, this bubble-like sound resonated as a singular signal. The sonic stillness of this singular pop could be the ping of sonar – the sending out of a signal in the hopes of making contact. Eventually, the dancers pop in response, slowly at first but then faster with a subtle urgency. The stillness between pops might suggest a yearning to shorten distances or a reaching toward others. 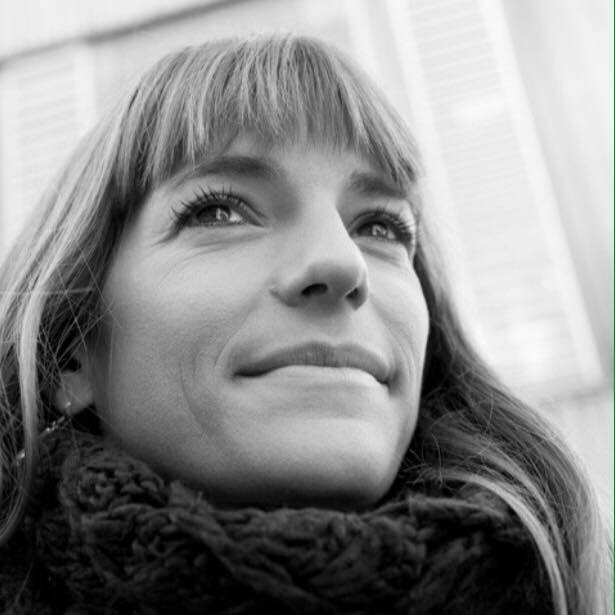 Michelle LaVigne is a dancer, writer, and teacher. Currently, she teaches rhetoric at the University of San Francisco. Her writing/research focuses on the intersection of dance, rhetoric, and performance. 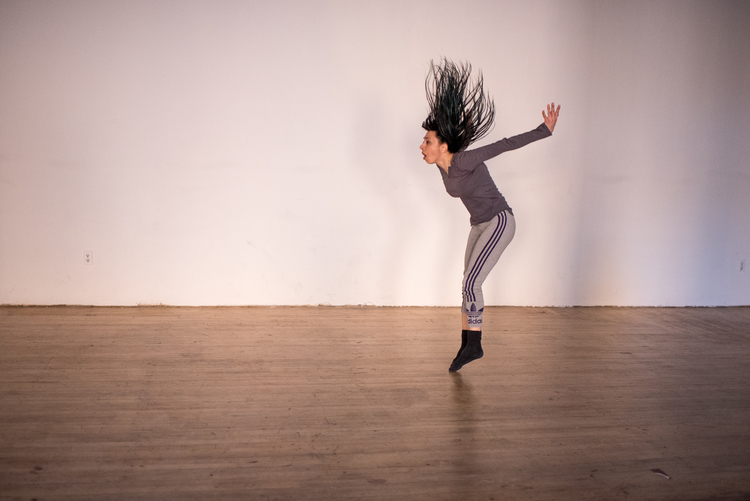 In particular, Michelle writes about the persuasive qualities of dance movements and aesthetics, and how practices of rhetoric might be rethought from the movements of dance and choreographic praxis. She also very interested in embodied practices and is working on several collaborative projects about dance, rhetoric, and dialogic thinking. 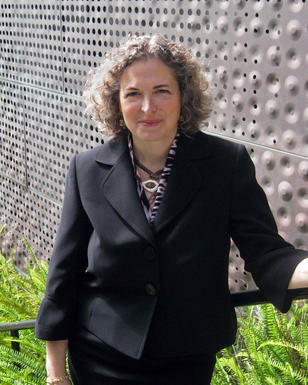 She presents at national and international conferences and has published reviews in the Quarterly Journal of Speech and Journal of Aesthetics and Art Criticism. Michelle was also a guest writer for the ODC Theater Writer in Residence Blog, Triple Dog Dare, in 2014, and blogs about dance in San Francisco.